Great location off Bob Sikes Rd. Only 5 minutes to town and minutes to I-10. For a small home, you'll be amazed at the space, including FL room, laundry, pantry and large walk-in closet in master bedroom. 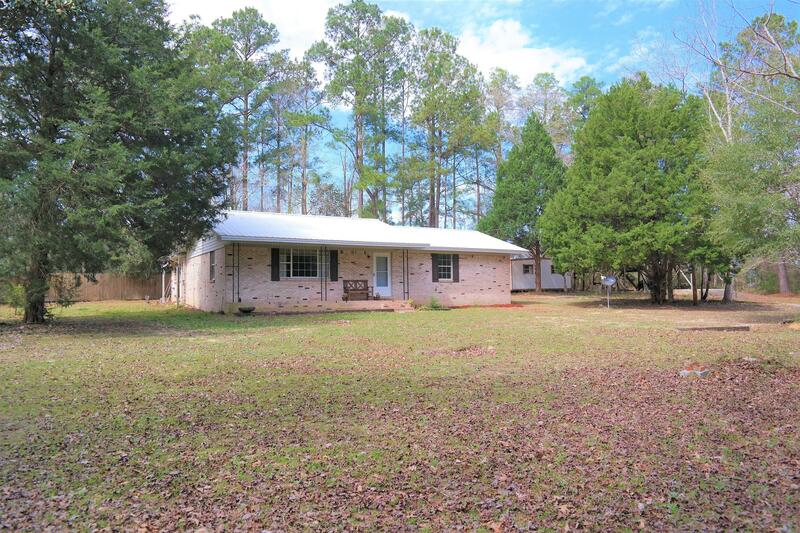 This is a well-maintained brick home on apx.4 acres. Recent upgrades include new paint, tile floors in kitchen/dining & bathrooms, new HVAC apx. 6 yrs, New septic and drain field late 2018. Exterior features include attached carport, covered RV parking, 12x20 storage building, large yard with circular driveway. This one won't last long so schedule your showing today!